Fiberglass is a frame material known for its strength, durability and performance. As a building material, fiberglass is nothing new. It's been floating boats and adding strength to ladders for years. 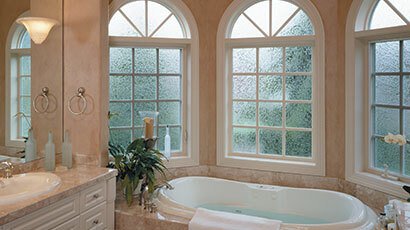 But, until recently, the complex profiles required for window designs have been impossible to attain with fiberglass. 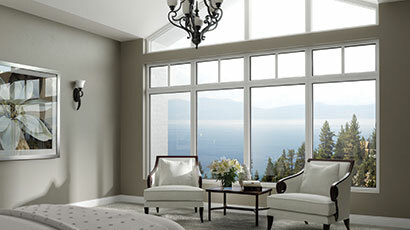 Innovative window manufacturers like Milgard® have solved these challenges and today you can buy fiberglass windows and patio doors designed to maintain their beauty in every season, in any climate. Known for its strength, durability and naturally insulating qualities, fiberglass windows have been a popular choice among window contractors. Windows designed from fiberglass are known to be 3x more energy efficient and 8x stronger than windows made from other materials. Since fiberglass windows are available in a wide variety of colors and styles to choose, they have become an ideal choice for home installations. At Lasting Impressions we strive to carry a large selection of fiberglass window styles and designs to suit the needs of any project. For more information on our products and services, get in touch with a knowledgeable and professional member of our staff today.